Society of Automotive Engineers (SAE), Fellow. American Society of Mechanical Engineers (ASME), Fellow. Society of Tribologists and Lubrication Engineers (STLE), Member. Engineering Society of Detroit, (ESD).Fellow. Tau Beta Pi , Member. Society of Automotive Engineers, Certificate of Recognition, International Congress, 1965. Engineering Society of Detroit's College of Fellows Medallion Award, June 6, 1986. Society of Automotive Engineers Excellent Oral Presentation Award, April 28, 1987. Society of Automotive Engineers Recognition Award (20years SAE Student Advisor), 1992. Fellow, Society of Automotive Engineers, 1987. Wayne State University Board of Governor's Distinguished Faculty Fellowship, 1988-89. Society of Automotive Engineers, Certificate of Appreciation, 1990. ASME-ICE Meritorious Service Award, 1990. Outstanding Faculty Award, 1990-1991 and 1991-1992. Medallion Recipient of the 19th U.S. Army Science Conference, June 1994. Society of Automotive Engineers Faculty Advisor Award, 1995. American Society of Mechanical Engineers, Fellow, October 1995. 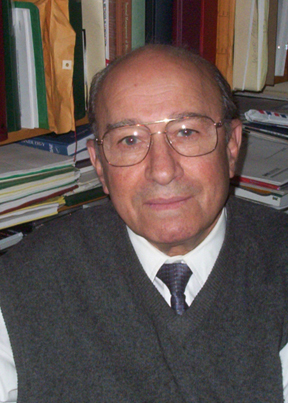 A. R. Carr Professor of Engineering, Wayne State University, 1997.